Once there was a boy James who couldn’t wait for Christmas cause it was just around the corner after waiting 23 days.It was finally Christmas eve James woke up and went down stairs to eat breakfast.So James’s dad made him a sandwich that was left there so James’s dad gave it to him but he didn’t know there was a battery in the sandwich.James said to his dad he feels weird and out of know we’re he became energetic he said dad all I can see is the colour white.So James’s dad hurried him to the hospital for a check up to see what is wrong they took out the battery by making him sick but they had a perfect Christmas and they lived happily ever after. Thank you for your entry into the 100WC this week. What an unusual story! I’m pleased that James was better after eating the battery. It certainly had some strange effects on him. I’m going to make sure I check my sandwiches from now on – I definitely don’t want to eat a battery of that’s what it’s going to do to me! 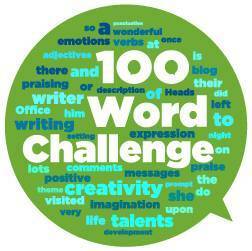 Your writing this week is a little over the 105 words you are allowed with 127 – you could take out the whole of the first sentence and it would still make sense and be closer to the word limit. Next time, check your word count before you publish and try to get as close to the 100 as you possibly can. Keep trying hard.